While we were enjoying the unusually warm weather (Hello 70F in December), that “spring in winter” weather is just a happy memory. As we experience yet another Polar Vortex with bitter temperatures and dry air, it’s beginning to have a serious effect on our pretty pouts! We have recently discovered two luscious lip rescue products that we just couldn’t keep to ourselves. You’ve probably heard of the number one destination spa Golden Door -- located San Marcos, California -- but perhaps you haven’t heard about the spa’s luxurious skin care products. We introduce to you Golden Door’s Ultimate Lip Care Pouch … your winter beauty lip savior. The Ultimate Lip Care Pouch ($30) is a duo of lip loving hydrators that you’ll need this winter and all year long. 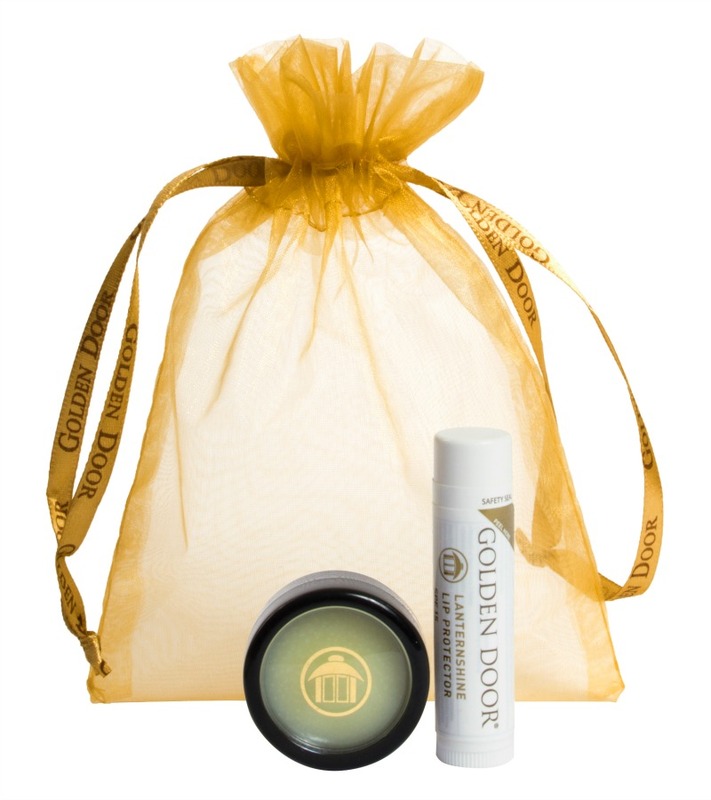 Golden Door Lanternshine Lip Protector SPF15 is your first line of defense against the elements. Lanternshine Lip Protector SPF15 is an antioxidant, nutrient-rich treatment that protects your lips all day long. In stick form, Lanternshine Lip Protector also doubles as an emergency SPF protector and moisture treatment for nose, ears, and cuticles! For nighttime lip treatment, grab Golden Door’s Lip Conditioner. The conditioner is packed with humectants and vitamins that promote healing while you sleep. These Golden Door winter lip savers are 100% natural, paraben-free, sulfate-free, perfume-free, dye-free, cruelty-free and do not contain mineral oil. Always made with love, 100% of Golden Door’s profits go to select charities across the U.S. dedicated to transforming the lives of children. You can get the Ultimate Lip Care Pouch online at Golden Door.